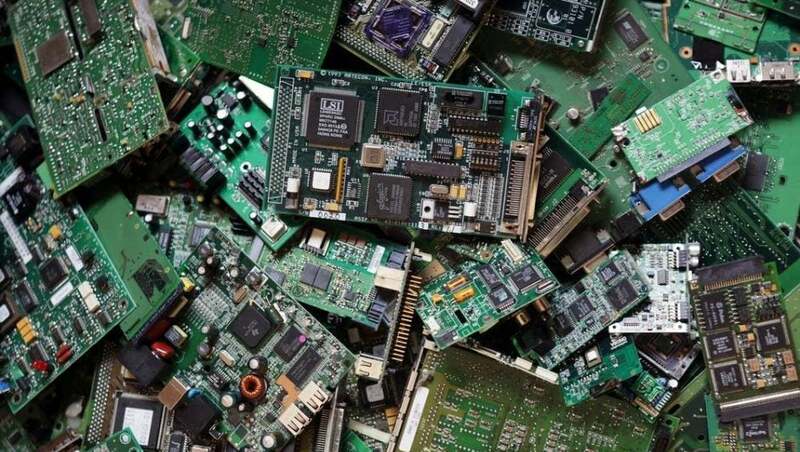 According to Earth 911, the United States produces more e-waste annually than any other country. The amount of electronics that Americans throw away every year? 9.4 million tons. And if we recycled one million of those laptops, it would save the energy equivalent to the electricity used by 3,657 U.S. homes in a year, according to the EPA. To help with this effort, we asked seven YEC entrepreneurs: What is one creative way you get rid of old (but still functioning) computer/IT equipment when upgrading office machines? What better way to put your still functioning computer or IT equipment to good use than to donate them to a local charity! At AquaMobile, we donate our old computers to our local Goodwill store, which has a great partnership with Dell to ensure that any brand of computer gets refurbished or recycled responsibly. All participating locations are listed here. The popular recommendation is to donate your old equipment to charity; while we do encourage this method, we’re also big fans of donating to our own team. Do you employ a mom whose child needs a computer for school, or a fresh college grad living on a budget? Incentivize your team and show them that you care about their needs. It’s a small but important gesture, and one that pays dividends. I recommend finding a local hackerspace and seeing if they will accept the old equipment. We have Pumping Station One in Chicago, but they are very selective about what they take so it can’t be too old. Ask your team which local nonprofits they support and have them reach out to see if the organizations are in need of any of the equipment. Have the employee offer time to deliver the equipment and train the organization’s staff on how to use the equipment if necessary (and if the employee has the time and desire). Let that start a relationship between a worthy nonprofit and your company. Artists have been making really cool objects out of old computer parts — lamps, benches, desk clocks, you name it. I’ve seen mailboxes and coffee machines made out of old computer towers. Invite artists to use your old parts and even have a company computer art day. You’ll create some cools stuff for the office, but more importantly, you’ll also inspire your team to upcycle more. Even if your equipment is getting too old for its intended use, there are still plenty of ways to squeeze functionality out of old hardware. One way is to use old machines to power the dashboards and dummy terminals your team uses to monitor its key metrics. You can also give old computers to your team’s QA department and let them use them for browser testing. If you can’t find a place or person that can use your old tech, please recycle it responsibly. Here’s a quick guide to recycling computer equipment from Earth 911. Young Entrepreneur Council (YEC) is an invite-only organization comprised of the world's most promising young entrepreneurs. YEC members generate billions of dollars in revenue and have created tens of thousands of jobs.